Yellow summer squash is available year-round these days, but for those who grow their own, bookmark this easy recipe for times when the garden is overflowing with this versatile vegetable. We adapted this recipe from one by Heather Christo. This easy quick bread recipe gets its bright flavor from lemon both in the batter and in the glaze. It isn't greasy as some quick bread can be because butter is used instead of oil. This is a perfect edible gift that will last in its packaging for more than one day. Heat oven to 350 F. Thoroughly coat two 8 x 4 inch loaf pans with cooking spray. In a medium bowl, mix together the sugar, lemon juice, lemon zest, and melted butter until well combined. Beat in the eggs, one at a time, until the batter is light and fluffy for about 2 to 3 minutes. In a separate medium bowl, whisk together the flour, salt, baking soda, and baking powder. Add these dry ingredients to the batter, and mix just until it's well combined. If the shredded yellow squash has given off any liquid, drain it, and add the drained squash to the quick bread batter. Mix thoroughly only until well combined. Divide batter between prepared pans, and bake for 55 to 60 minutes (begin checking at 45 minutes) or until a toothpick tests clean. 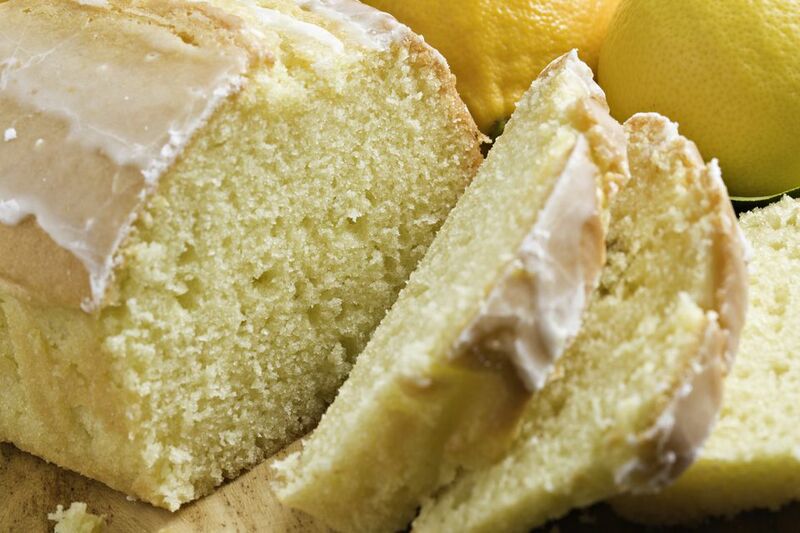 While quick loaves of bread are baking, make the lemon glaze. Heat 1 tablespoon milk and corn syrup in a small saucepan until it's almost simmering. Whisk in confectioners' sugar and lemon juice until smooth. If it's too thick, add 1 teaspoon of milk at a time until desired consistency (it should be thick). Set aside until needed. When quick bread has finished baking, remove it from oven, and place it on a wire rack. Immediately brush on the lemon glaze. Let it cool for 10 minutes. Run a knife around the edges of the quick bread and carefully remove them from the pan, and let cool completely standing upright.